Just what have you just stumbled upon, you ask? If worship is your focus, this site is for you. You will find songs--both mine and a number of hymns. The pdf’s which include a lead line along with chords are yours for the taking. It is assumed that you will comply with CCLI in reporting all usage. The mp3’s, where available, will introduce a musical setting to you, giving you a better idea of how the songs or arrangements go. The worship scripts are designed for live worship, to bring focus to a theme, incorporating songs with scripture and prayers. The “running time” of the scripts with songs averages 30 minutes. The blog, called Manna will expound on certain topics that are important for Christians to think about. May the Lord richly bless you as you minister in His name, for the building up of his kingdom. Who is Walt Harrah? Click here to find out! 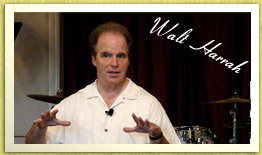 Click here if you would like to email Walt. 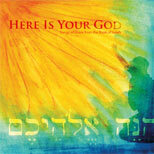 “Here Is Your God,” is the latest worship album from Grace Evangelical Free Church in La Mirada. The album is based on the book of Isaiah. Visit www.songsofgrace.org to learn more about this album and download the songs. The greatest invitation possible is offered freely to all who will come. Eternal God offers eternal life. The formal worship of God, without lives that live out what we believe to be true, is a stench in God's nostrils. True religion is faith in action. When the glory of the Lord is revealed, justice is served, righteousness is exalted, and God gets the final word. And that day will come! When the Lord comes into a situation, darkness flees and order is restored. That is both a present hope and the ultimate reality. Meanwhile, get ready. Everything we see around us will disappear, transforming into a recreation that far outshines the first. It will be glorious, and last forever. Paul in the 8th chapter of Romans mentions that God did not spare his own Son, but gave him up for us all. Isaiah 53 is the Old Testament statement of that truth. The kingdom of God has been a common thread of truth for thousands of years now. And until Jesus returns, the Spirit will keep calling new generations to himself. And this promise gives us great hope for our children. God can redeem anything. He provides streams in the desert, and water from a rock. He can take any situation and bring good out of it.